Google announced a slew of new devices last week, including two new additions to its Home line, the Mini and Max. A handful of new features for the connected speakers were made public alongside the new hardware, some announced directly by Google on stage and others that were expertly sleuthed by the folks at Android Police and elsewhere. Not all the new features are game changers, but many are seriously handy and show a nice progression for the Google Home, now in its second year on the market. If you have an Android phone with Google Assistant support you can now use it to broadcast a message to every Home in your house. People with more than one Home will likely get the most out of this new feature, but even if you just have one in the living room or kitchen, the ability to broadcast to it is still fun and useful. An easy way to tell the whole family dinner is ready, or to beg your significant other to bring you one of those cookies that just came out of the oven. An obvious feature for Google to add, but one that is nonetheless welcome. Now, users can say “OK Google, find my phone” and their phone will begin to ring. While it works on both iOS and Android, users on the latter platform will get the best experience. That’s because on Android the Google Assistant will be able to get the phone to ring even if it’s on silent. Not so on iOS. Google is expanding the usefulness of specific phrases, allowing users to choreograph multiple triggers with one single phrase. Google Home owners can already do this with “good morning”, which will prompt the Google Assistant to say the weather, traffic and news of the day. With the update, users can expect more customization around particular phrases, making the ability to control the smart devices in your home a little easier. Functionality similar to this was already possible through separate apps like IFTTT and Stringify, but having it built directly in will make the process simpler. The Home has been able to make calls for a while, but with a big catch. When you made a call with the Home, your number wouldn’t appear on the receiving party’s phone, but instead a random, unrecognized number. This greatly diminished the likelihood that the other person would answer the call, which rendered the whole ability to even make phone calls moot. Now, when you make a call with the Home, your number will appear to whoever you’ve dialed. Sometimes you may ask the Home a question, perhaps about the weather, and wish you had more information, or visual information, to dig into. 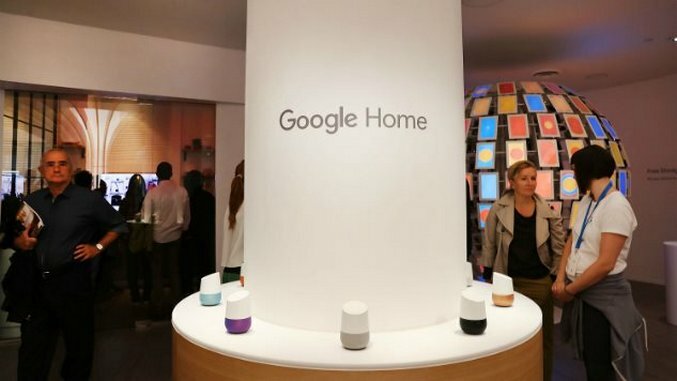 With a simple new feature coming to Google’s smart speakers, users will be able to ask their Homes to send information to their phones for further consideration. The caveat is that the feature will only work with questions on specific topics, like movies, news and weather.